Article: The Concept of Representation: Is This a Trap? For anarchists, representation is a “trap” (Marin, 1978). For that reason, according to Daniel Colson’s A Brief Philosophical Lexicon of Anarchism from Proudhon to Deleuze (2019: 130), “anarchism expresses a … radical critique of representation”. And Nietzsche is a significant influence on this anarchist critique (Call, 2002; Noys, 2008). For Nietzsche, representation is a “lie”. According to Nietzsche, we are all “radical” liars, but some are less so than others. For instance, Fernando Pessoa (2006) confesses that he, as a poet, is just a “faker”. Inspired by Nietzsche, in order to better understand what representation is and why it is a “trap”, in this essay I study some different kinds of liars: 1. The radical liar; 2. The common liar; 3. The “ordinary” liar; and 4. The “faker”. Let’s start with the radical liar. According to Colson (2019: 130), representation happens “each time persons, signs, or institutions claim to stand in for things or to say what these things are”. For Colson representation is saying what things are. And this presupposes knowing what things are or presupposes knowledge. For that reason, Colson affirms that the anarchist criticism of representation is radical. It is related to the roots of knowledge: is it or is it not possible to know? Nietzsche answers ‘no’. For Nietzsche, we can never represent what things are because we cannot know things as they are. According to Nietzsche, we have a “radical” inability to know. We can never reach the thing in itself. For that reason, according to Nietzsche, representation is impossible and a “radical” lie. Representation never tells the truth. And why does it happen? It happens because the world and ourselves are a devir and we need a méta-phoros (a bus, in today’s Greek), in order to catch this movement. Due to this devir, our first contact with the thing in itself is just a “nervous excitement”. How does this nervous excitement work? It breaks the “own” “into pieces” (Kofman, 1972: 26). First, it creates an “image” and then a “sound”. Nietzsche calls this process a “psychology of art” (Warin, Cardinali, 2002: 39). For Nietzsche, due to these “nervous” metaphors we are all radical liars. The problem starts when we “forget” that these metaphors are not the truth. The common liar forgets this “primitive metaphoric world”. As Colson states, the common liar stands to say what things are. For him, ideas seem “stable canonical and obligatory” (Nietzsche, 2002: 16, 17). Nietzsche (2005: 143) calls this forgetfulness a historical “error”. Nevertheless, this error is “commonly consented” and “shared by the herd”. Common lies are “conventions”; in order to exist, society “unconsciously” imposes the “duty to lie”: the duty to use empty and “solid” conventions. They are empty because “after a long time” they lost their “sensible force” and became common truths/lies. As Baudrillard (1981) argues, we live in an “epidemic of signs” with no real value: we have lost the “good distance” between the “map” and the “territory”; they intersect and “make a short circuit”. The “ordinary” liar is a traitor who dupes others. He is “voluntary and harmful”. He is a conscious liar, and worse than Nietzsche’s (2002: 7) “worst minute of ‘universal history’”: the creation of knowledge. The ordinary lie is the worst: it is “a betrayal” of the conventions imposed by society. It is destructive – not creative and aesthetic. The faker is the “damned” who works the “evil”, beyond the good (common lie) – but he is not a traitor (Bataille, 1967; Walzer, 2010). The evil means the “potency”. It looks like the Nietzschean “will to power” or the “artistic force” (Kofman, 1972). And, for Nietzsche, this “artistic force” is the nervous excitement that constitutes the “own” – thing in itself. The faker is a creative liar: an inventor of words, concepts. He remembers that his representations are “traps”: a “process, a technical machination or an art”. He looks like Pessoa, the “faker”, or “La Fontaine, Retz or Perrault”: an inventor of fables. And this biological inability/ability has economic and political consequences. First, it configures a “solar economy” where the sun means “primitive energy” (Baudrillard, 2015). The faker generously spends this non-profit and non-utilitarian energy (Bataille, 1967). He is a “gifter” and a “mystic” who burns in the “void”. He works intensively and slowly uses his energy, knowing there are neither ends nor principles. He has only the “Ariane’s wire” or his “eternal return”: an ongoing creation of language which, configures politically direct actions. For Colson (2019: 149) “direct action” is “a movement” that affects “the mind outside of all representation”; it looks like “art, revolt, and all emancipatory struggle”; it reminds us of Nietzsche’s book, “forged of heart and logic, of blood and fever”. The anarchist is a faker: he reminds us that representation is a trap and adopts direct action. For instance, Proudhon “clearly expresses the ambiguity of signs and symbols” (Colson, 2019: 148). Like Nietzsche, he knows that between subject and object there is just an “aesthetic relation”. For that reason, Proudhon suggests his mutualism, living it as collective fable or “metamorphosis”. Like Pessoa, anarchists feel the wordless pain and the joy of words. Nevertheless, Nietzsche underlies: music is the best lie, expressing the “will” or the “melody of the world” (Kofman, 1972: 18). Bataille, George. 1967. Sur Nietzsche: volonté de chance. Paris: Gallimard. Baudrillard, Jean. 1981. Simulacres et Simulation. Paris: Galilée. Baudrillard, 2015. “Quand Bataille attaquait le principe métaphysique de l’économie”, in: Limousin, Poirier. 2015. Benoist, Alain. 2017. “Friedrich Nietzsche, la pensée de l’eternel Retour”, in: Benoist, 2017a. Benoist, Alain. 2017a. Ce que penser veut dire. Monaco: Groupe Elidia. Call, Lewis. 2002. Postmodern Anarchism. Oxford: Lexington Books. Colson, Daniel. 2019. A Brief Philosophical Lexicon of Anarchism from Proudhon to Deleuze. Colchester: Minor Compositions. Kofman, Sahra. 1972. Nietzsche et la Métaphore. Paris: Payot. Limousin, Christian and Jacques Poirier. 2015. La part maudite de George Bataille. Paris: Classiques Garnier. Nietzsche, Friedrich. 1988. Human, trop human. Paris, Gallimard. Nietzsche, Friedrich. 2002. Vérité et mensonge au sens extra-moral. Arles: Babel. Nietzsche, Friedrich, 2005. Crépuscule des idoles. Paris: Flammarion. Noys, Benjamim. 2008. ‘Through a Glass Darkly: Alain Badiou’s critique of anarchism’; in: Newman, Saul (ed). 2008. 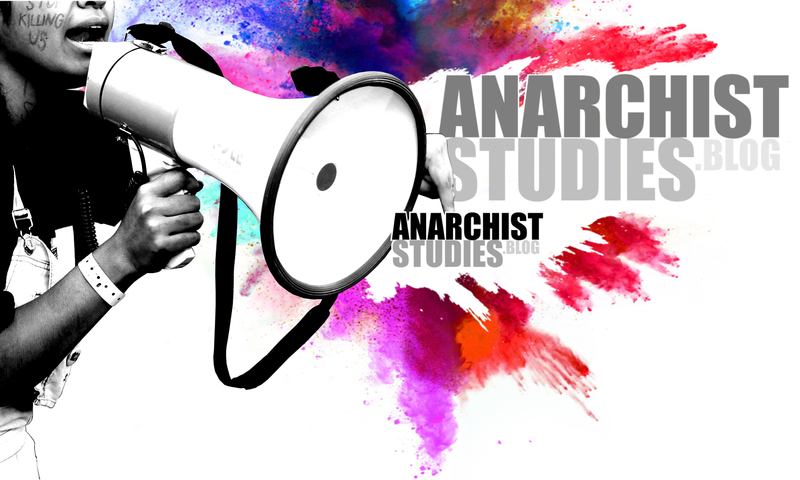 Anarchist Studies, Vol. 16. Number 2. Pessoa, Fernando. 2006. “Autopsychography” in: Pessoa, Fernando, A Little Larger Than the Entire Universe: Selected Poems. Penguin, New York. Pessoa, Fernando. 2016. English Poetry. Lisboa, Assírio & Alvim. Walzer, Nicolas. 2010. Du paganisme à Nietzsche. Rosières en Haye: Camion Blanc. Warin, François; Cardinali, Philippe. 2002. “Lecture par François Warin et Philippe Cardinali,” in: Nietzsche 2002. Nietzsche (2002) speaks in an “extra-moral sense”. His considerations are a “genealogy” on knowledge and language and not a “metalinguistics” which “tells the truth, saying there is no truth” (Warin, Cardinali, 2002: 47). The word ‘metaphor’ signifies etymologically a “transport” and “presupposes a “spatial transfer” or a translation.